A few months ago, I wrote a post called 5 Reasons Why Running Easy is So Hard, I then followed that up with a post about running easy, and what that means. However, in that post, along with everyone else, I gave you subjective ways to run easy. I tried to explain that we all need to be better at listening to our body, and what it is telling us about the speed we run at. I never gave anyone a way of running easy that people can really, truly understand. That is what I thought I would try to cover today. Last week, I interviewed Mark Cucuzella for the Runners Connect podcast. Although the interview will not go live for another week, I can tell you now that we talked a lot about easy running. He explained how he learned the hard way how important it is to run easy, but by doing so, he has been injury free since 2000! It got me thinking, that there must be other ways of explaining easy running. I can tell you to “run by feel” all day, but that can be really hard to understand, especially for new runners, therefore, I am giving you my recommendations on how to find the right pace. Secondly, this advice is for mostly 10k runners and longer who are doing hard workouts, as this is the area I understand. If you are not doing specific workouts during a week, then you can probably get away with a few more up tempo days, but you still need at least 1-2 days of easy running, ESPECIALLY if you feel tired that day. This one is the most subjective, and still relys on you listening to your body, BUT gives you a few more methods to use. If you cannot get through a run without looking at the pace, you need to run without it. If that means you switch it off so you cannot see it, do that (that’s what I do as I am a little obsessive about hitting the mileage correct! ), but if you cannot, then you really need to run without a Garmin. Yep, I am talking about wearing just a plain old watch. That way you cannot track your pace. Run on grass, dirt, trails, run on surfaces where you can just focus on enjoying your run, rather than how fast you are completing it! When you finish your recovery runs, you should feel as though you could keep going for that amount all over again. Yes, you are going to feel tired, and especially if you are sore, you might not WANT to do it again, but you could if you needed to. You should also be able to talk to a friend, have a full conversation the entire time. If you run alone, you should try to stay away from headphones (yes, I know that sounds like a crime to some of you), but hear me out; if you listen to music, it is too easy to get carried away to the music. You will also not be able to hear your breathing. Lose the headphones, and listen to your breathing, it should be calm and relaxed. When you go up a hill, you should feel the slight burn in your legs, but you should not be breathing much heavier than you are the rest of the time. This WILL require you to slow yourself down, and almost feel like you are running on the spot, but you shouldn’t get to the top, feeling exhausted. Finally, easy running will mean that you are paying attention to your surroundings. This is a time to look around, and notice things around you. If you are focusing ahead, and thinking about gritting it out…..you are going too hard. This is one of those times where you should NOT be “trying to get it over with”. You might actually enjoy it more if you slow down, and then you dont need to count down the minutes! If you are thinking in this way, you are going to end up running too hard. I am going to be honest. I have not used heart rate much in my training. 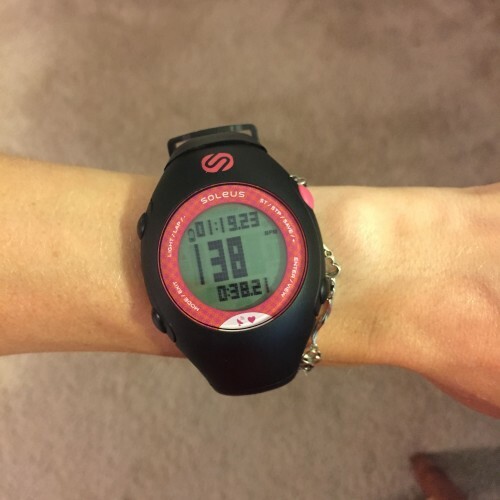 I was lucky enough to be given a lovely new Soleus watch with a heart rate monitor, and I do use it on easy runs, but I do not tend to use heart rate the rest of the time. Therefore, I am not the best person to explain it to you, but there have been multiple reliable resources who have talked about how helpful heart rate can be in keeping you at the right pace at the right time. I do however use my soleus watch and heart rate for recovery days, and it is a good way of making sure you are going slow enough. I cannot give you your heart rate numbers, as it depends on your age, but Runners Connect has a great calculator you can use to get your numbers, then its easy, just stay between those zones for your runs! Obviously, this requires a heart rate monitor, but if you do have one, this is a great way of making sure you are going easy enough. Okay, full disclosure. I just made this one up. This is not backed by science, not backed by any experts, but for those of you who do better with numbers, will probably find this helpful. I just want to say that this does require some common sense. Humidity, heat, cold, wind, hills, course, terrain all have a huge impact on how difficult a pace feels, and this is NOT going to take any of those into account. If any of those come into play, you will probably have to slow your run down even more. But, what I am going to recommend is that you take your current 10k time (NOT your PR, your current fitness), figure out your pace per mile for that, and then multiply it by 135%. For example, a few weeks ago, I ran the Bluegrass 10000, and my pace was 5:48 per mile. By multiplying this by 25- 35%, that leaves me with 7:30-7:50 per mile. I actually run slower than this (usually 7:45-8:05), but the faster you are, the more skewed it becomes. An example of this is my friend Sarah. We ran together when she was here, and we did not wear a Garmin that day, AND from estimation, I would say we ran about 8:30 pace average. This is two girls whose 10k PRs are under 5:20 per mile pace! Recovery is key! 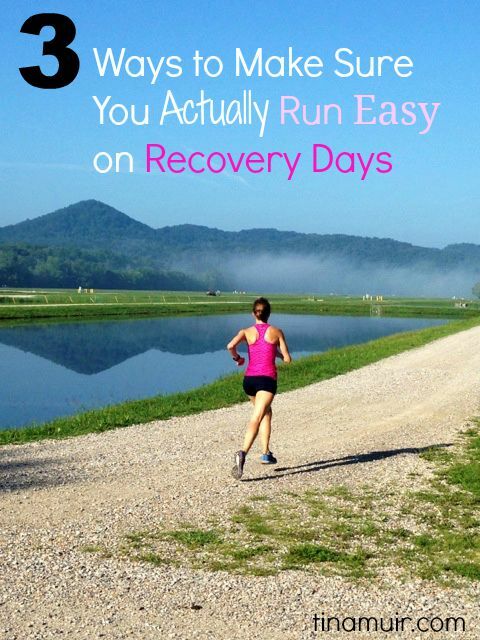 I thought maybe this would help show you just how much slower to run on a recovery day. Yes, elites may look like gazelles during a race, may make it look easy, but when you think about how much slower we run on our recovery days, percentage wise, it helps you understand….well hopefully. So there you have it, my three best recommendations for slowing yourself down enough on your recovery days. Runners Connect has some great posts on this, and the more easy running you can do, the less likely you are to end up injured (and isn’t that what we all want?!). Hopefully this can be helpful to you! Do you have another way you make sure you run easy? How Do Elite Runners Use Strength Training for Success? Great ideas! I like using my HRM to make sure I am running easy on recovery days. I’ve been using it for a while so I have a pretty good idea of what my heart rate should be, although running when its super hot and humid throws that off a bit and I need to slow down even more! I really enjoy my easy days now and use it as time to just relax and think! Last summer I ran with a HRM for a while to get a sense of how different efforts feel, and that was really helpful for marathon training. I think it’s so important to run easy for a good portion of runs. A lot of people don’t and then end up injured. These are great tips Tina and thanks for sharing! I’m so not good at running easy. I did do it more for the race I ran in October, and noticed a difference. It’s almost like I need to shut off my Garmin because it makes me feel like I’m so slow, ha! But honestly, we do need easy days in the training. Fantastic tips Tina. I think the conversation one is the easiest to remember – if you’re gasping or not easily able to talk then you’re going way to fast. A lot of the time for me it’s ego…the “oh no I can’t log a run THAT slow” but getting over that ridiculous idea is key. Saving your ego is no excuse for getting injured after all! Really great post here, Tina! Thanks for the great recovery tips and the reminder that I need to save up for a Garmin that syncs with a HRM. 😉 Have a wonderful weekend! This is great! I just did a post on this also!!! I will admit I am not good at this at all! In this training cycle I am determined to be good at it though. It has not caused me to have an injury or anything, but I do wonder if some of my less than stellar race performances could be helped by running my easy days easier. For my fall marathon I am following the Advanced Marathoning book plan and in that they have 2 recovery run days a week of 5 miles. In the past I have done all my easy days as 8 miles at around an 8-8:15 pace. The book talks about how to tell by heart rate, but I never track my heart rate. It also gives an easy approximate pace as 2 minutes slower than your 10 mile pace. For me this is going to be 8:50-9 minute miles, which is a lot slower than 8 minutes :). For me I have to run with my Garmin on these and make myself slow down. If I go “by feel” I will settle right into that 8 minute pace. I love that trail that you are running on and wish I had that by me! I also was wondering what sports bra you are wearing in the top picture :)…..I like it! Thanks Jen 🙂 Glad you have worked out what you need to do, and that book sounds interesting, will be looking forward to hearing how you get on! The sports Bra is the sweet elite http://www.saucony.com/en/sweet-elite-bra/12436W.html 🙂 I LOVE it! I have no problem slowing down and running easy. That’s actually been my problem for a long time in that I held the same pace for every single run. Now that I’ve implemented speed work and tempo runs, I really enjoy those easy days! 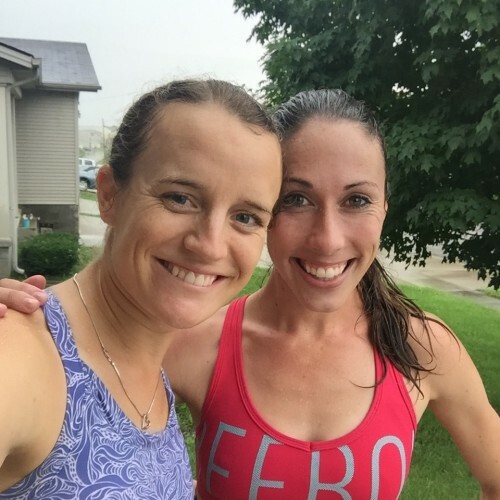 My favorite way to ensure that I run easy is to run with someone who is slower than I am. I get to catch up with a friend, help pace her and keep it easy for myself. I am so guilty of the “getting it over with” mentality on some of my runs that are supposed to be easy-paced, recovery runs; like you’ve mentioned, I’ve heard the “run by feel” method and it won’t work for me if I ignore how I feel! Thank you so much for the description you’ve included; this makes much more sense to me now, and I’ll definitely think about this the next time I go out. In addition, I’ve got a heart rate monitor strap for my Garmin, sitting in my bedroom collecting dust; thanks for sharing the link to the calculator – another great idea for these easy runs. Hope you have a great weekend, Tina! I’m actually working on a similar post! You’ve got some really great tips here! After reading yours and others’ tips about slowing down, I’ve taken most of my non-workout runs down to a really easy pace, and it’s made such a significant difference in my training. I recover more quickly, handle higher mileage, and just get to relax and really enjoy some runs. As I mentioned to you already, I’ve been loving listening to the Runners Connect podcasts lately during my easy runs. It keeps me entertained and it’s almost like running with a friend (yes, thank you Tina for running with me several times per week!). I save my music for my tempo runs and long runs because it does help me going faster. I definitely have a hard time with recovery runs and really have to make an effort on slowing down. It’s hard! I definitely struggle with running easy. Last year, I feel like I got it right. When I noticed that I was huffing and puffing to keep up with my friends during easy runs, I decided to start doing them solo and slowed waaaaay down. I’m not sure why, but this year, I feel like I’ve fallen back into the trap of running them too fast. I’ve been constantly tired and I woke Mike’s Apple watch for the first time a few days ago and was kind of shocked at what my heart rate was for what I thought was an easy pace for me. I’m going to try to reign it in now. Thank you for the reminder that and for showing us how slow elites run relative to their race paces! Yes!! I got some great info about this during Jason Karp’s talk at the Ideaworld fitness conference this past weekend. I love your tips. I think this is so key to avoiding injury. Sometimes on a recovery run, I would stress a little about whether I was going too slow. I wouldn’t run faster, but the worry was in my head, you know? Such better perspective these days. Great post! This is awesome! I run way too fast on my easy days. It is so much more fun (and easier on my body) to enjoy the scenery. Thank you for the reminder!